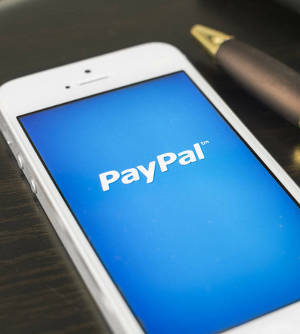 US managed Paypal account is a special service for our clients in need of a verified US bank account that we provide to our clients with US companies and in need of such Paypal account without limits and without blocks. Regardless of the client's IP address, this Paypal account remains in usage and by the law cannot be blocked by Paypal. Any inquiry by Paypal is going to be handled by our US manager. First the company has to be established and company tax ID (EIN number) is issued. The incorporation fee may be from US $400 to US $1,200 depending of the package. Company appoints our manage to be Treasurer and officer of a company. Our client become member of our RGBAI membership for one time fee of US $400. If client is already our client for company registration, there is no need to pay a membership fee. There is special fee for managed Paypal account that is agreed with the client, depending of the needs. Paypal account is managed by US officer, however, it has 2 users, one is US and one non-US resident, the client. Client decides when to receive money and to whom to spend the money, and may block the manager if necessary. Client is in control over his company. We use client's US bank account number to deposit Paypal money. We issue special VISA card that is used to verify Paypal account. This kind of Paypal setup cannot be limited by Paypal. Inquire for the service. The fees paid for the service of managing Paypal account may be percentual fees or annual fees. Minimum annual fee is US $2,000.